This may be frighteningly over-keen in a sporting context, but for the kind of Golf (VW that is) we supply here at Spencer Car Sales in Crostwick – just north of Norwich – then we understand the ongoing enthusiasm our customers have for this particular marque. It copes so well with all seasons and conditions. 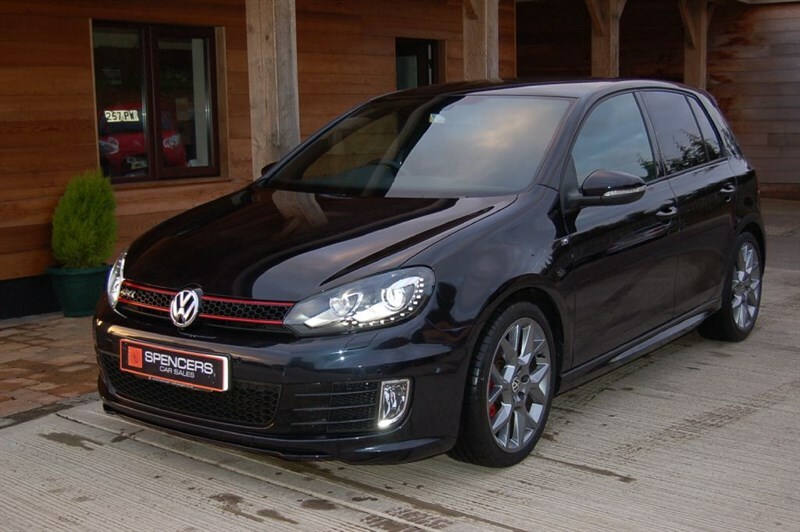 Take just a couple of the models we currently hold in stock, starting with a stunning VW Golf GTI Edition 35 2L with just 13,000 miles on the clock. Its features include air-con, paddle shift, Bluetooth, DAB radio, IPOD dock, parking sensors, and so much more. Perhaps you might prefer the R32 DSG 3.2L. Among its many plus points are superb leather upholstery and sports seats, traction control, styling pack, auto lights and wipers. These terrific and superbly presented used Volkswagen Golf choices tend to move on very quickly, so do check our current availability here. We find the Golf is such a popular choice for many reasons, including their highly economic engines (backed up now, thankfully, by falling fuel prices) and kinder carbon footprint. We also include a six month warranty and comprehensive recovery package, which includes home and roadside repairs and assistance. This car has even been described as the “near-default choice for family car buyers” – so Golf anyone? Of course, should you prefer other choices, we also offer superb used cars from a dozen and more leading manufacturers, for our many returning and equally-welcome first time customers. You can enjoy browsing our full stock list here.